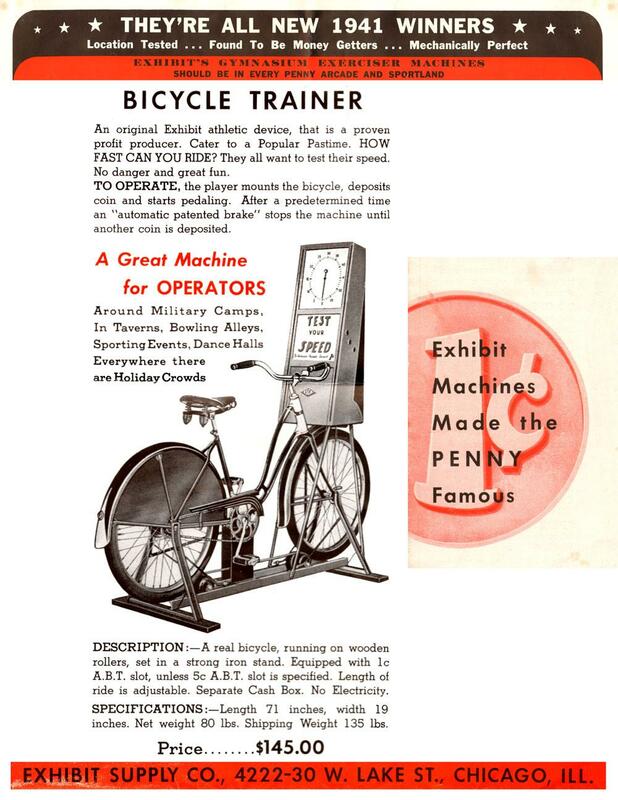 Description: Bicycle Trainer, Exhibit Supply, late 1941, according to the flier, it came out just in time for the holiday season of 1941 (and WWII.) 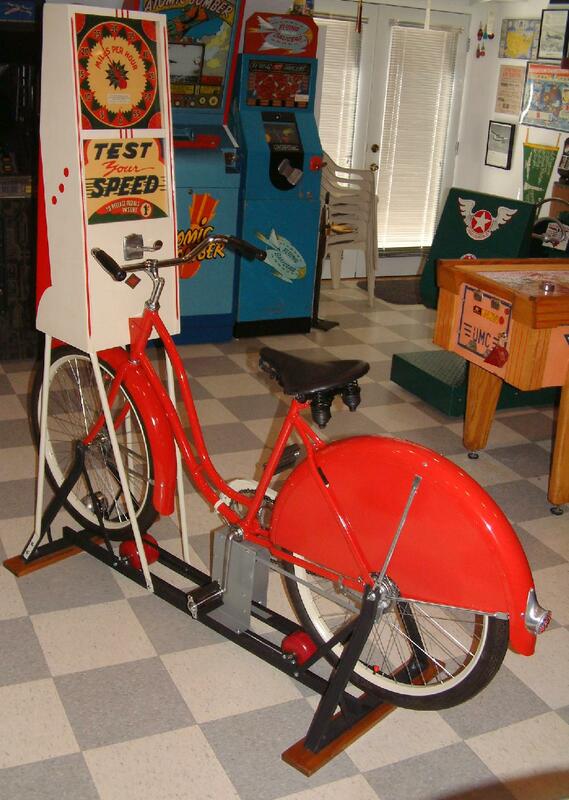 The game incorporates a Schwinn bicycle. 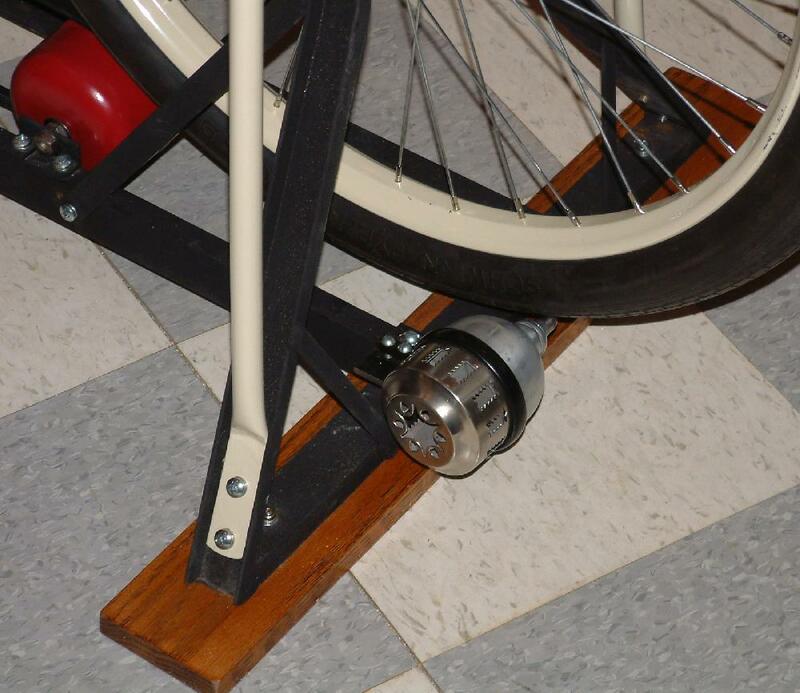 After inserting a coin, there is a gear box connected to the crank that gives you a certain number of revolutions of the pedals to set your maximum speed. 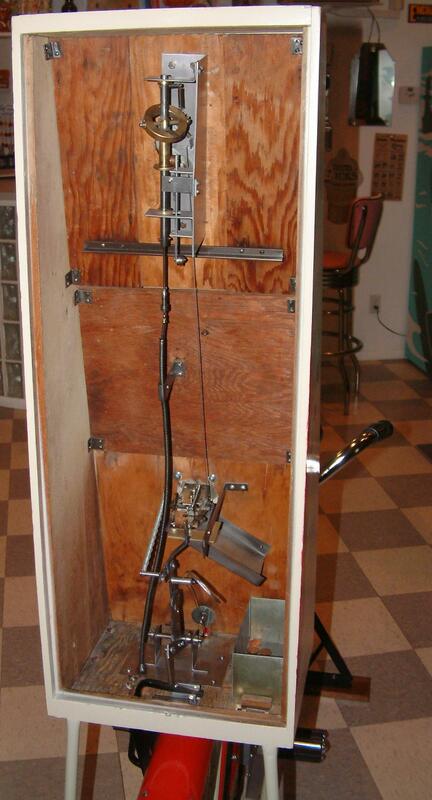 Then the gearbox sets the rear drum brake. 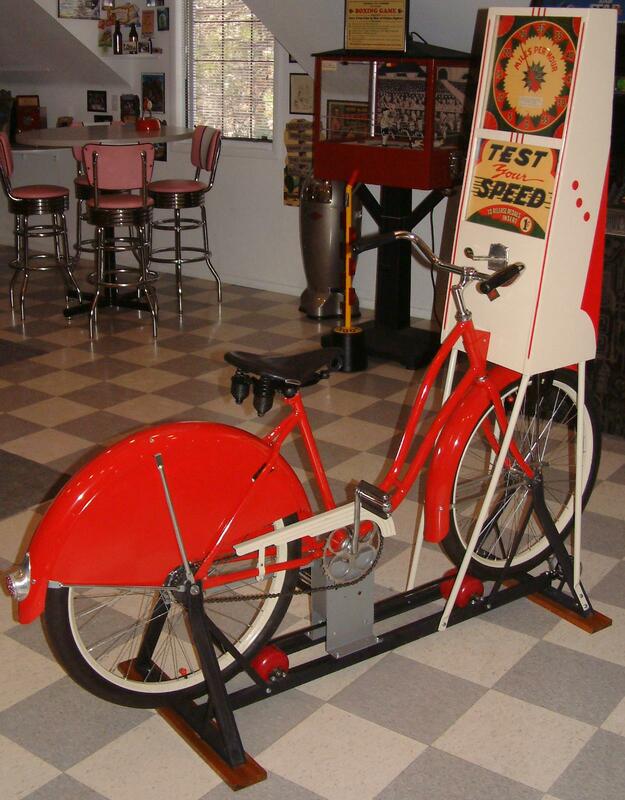 The duration of this is about 20 seconds pedaling as fast as I can. 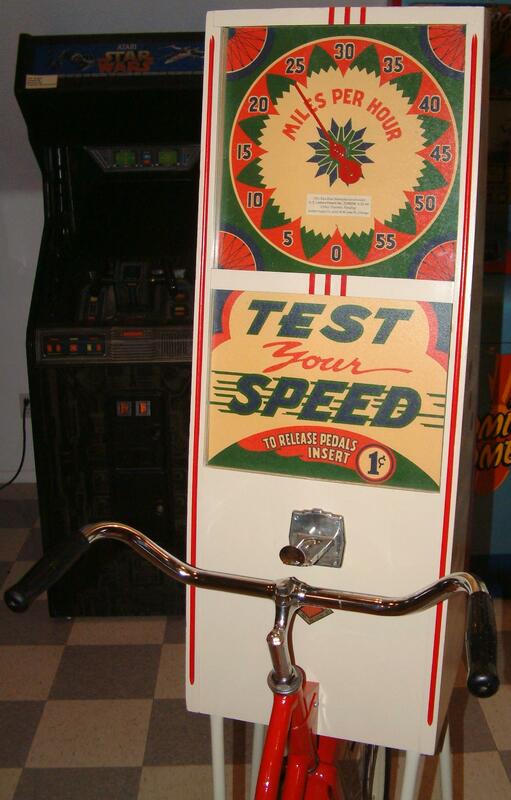 The player's maximum speed is recorded on the dial. There is an added siren on the rear wheel too, for some sound excitement.